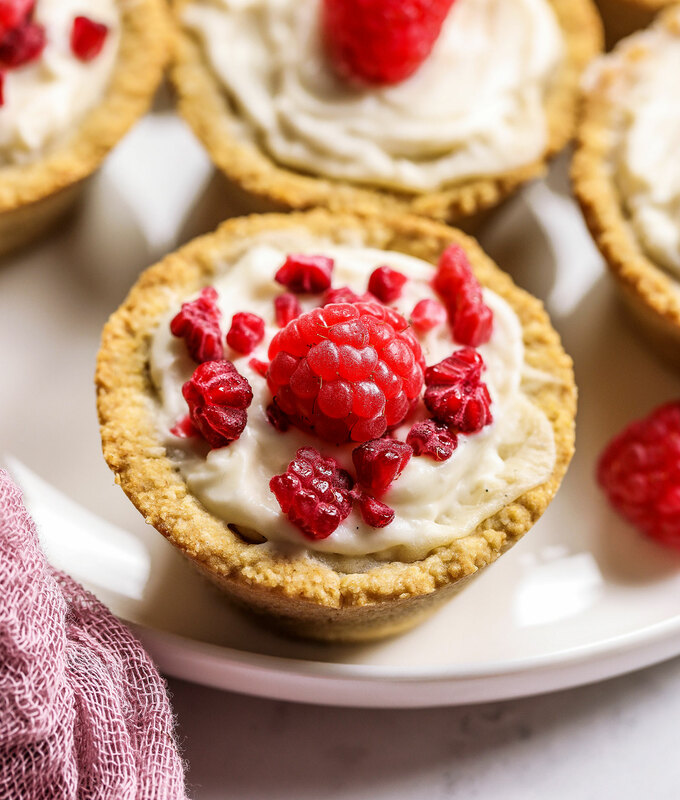 Mini vegan raspberry cheesecake cups that also happen to be cashew-free, nut-free and gluten-free! 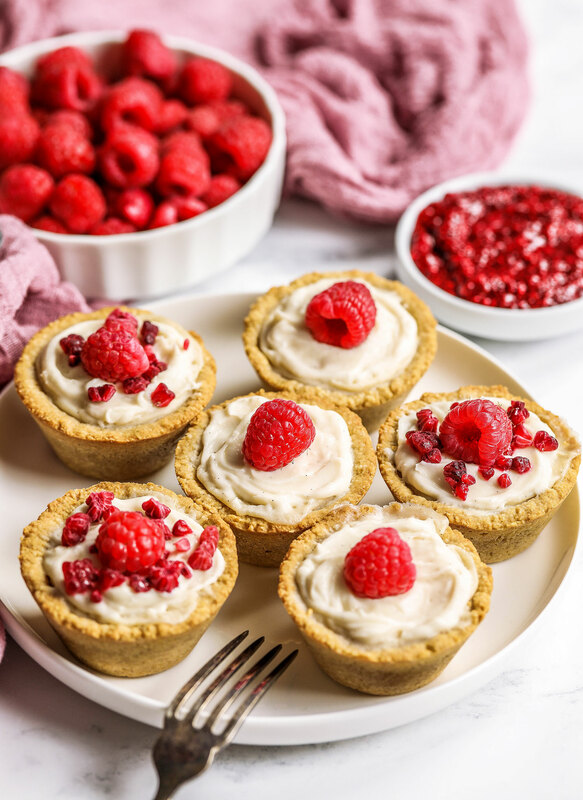 If you search for vegan cheesecake recipes online you’ll find that most of them are made with the same main ingredient – cashews! 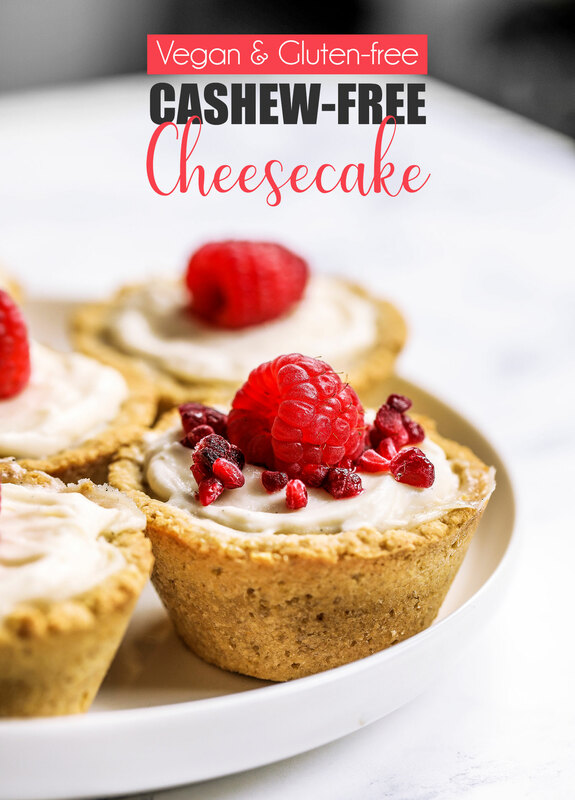 Not that there’s anything wrong with cashews, but I wanted to make a plant-based cheesecake that resembles the ‘real thing’ and I found the best way to do that is by using a dairy-free cream cheese alternative. 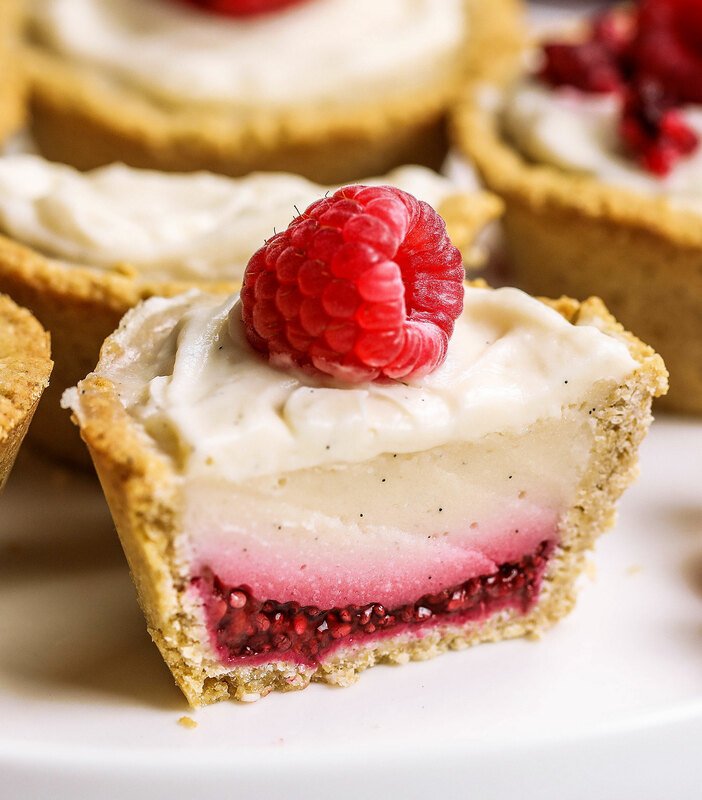 Both the taste and texture is more true to the original, which is what you want really if you’re making a ‘cheesecake’. Especially if you’re making it for a non-vegan and you want to impress them, a cashew cheesecake just won’t cut it. Trust me, whenever I’ve made a cheesecake using cashews, I’ll get the “it’s nice, but doesn’t taste like cheesecake” comment. This is my first video in collaboration with Violife. 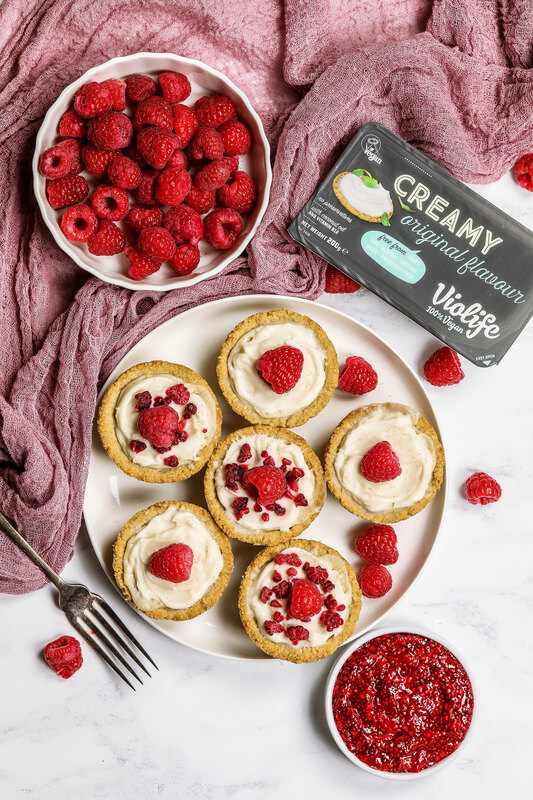 They have the most amazing (and delicious) range of dairy-free products catered towards those who can’t eat dairy or wish to avoid it. 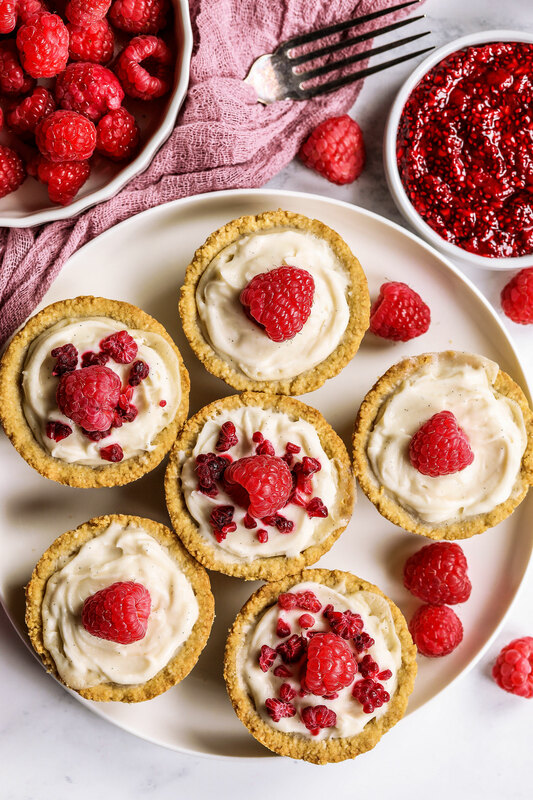 A I decided to make a dessert using their creamy original and I knew it would make the perfect filling for a cheese-free plant-based cheesecake, and I was SO right! 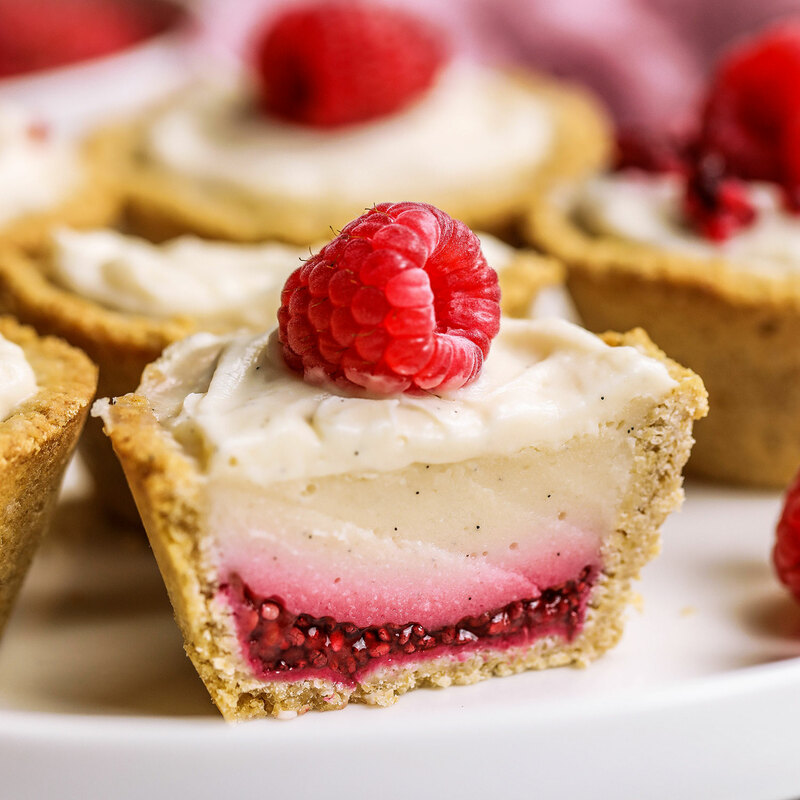 I don’t know why I never thought of trying a dairy-free cream cheese in a cheesecake recipe before. Such a simple substitution with amazing results. 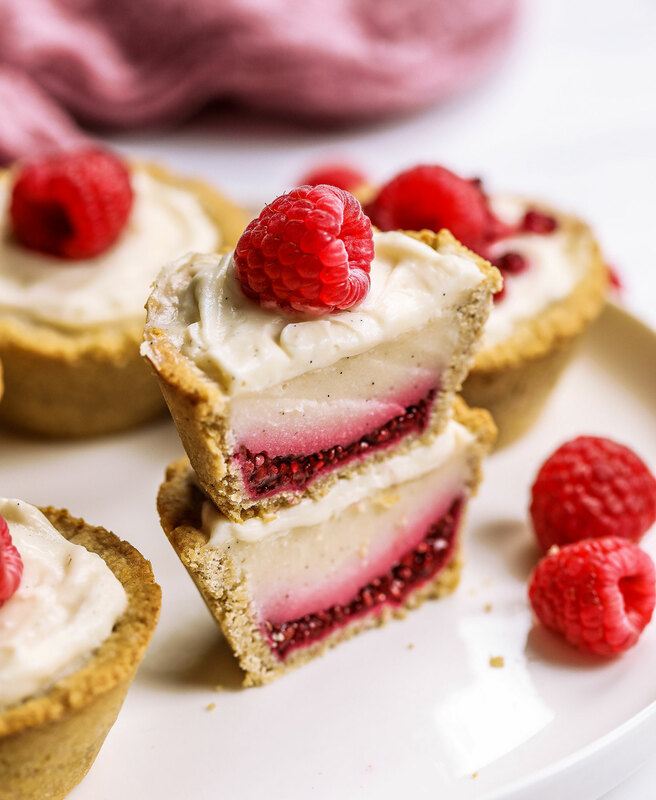 If you’ve never tried using dairy-free cheese to make a cheesecake before, then you need to try this recipe! It’s also gluten-free and nut-free so it’s great for those with intolerances and allergies to gluten and nuts. To make the base – Mix the oat flour and salt in a bowl, then add in the maple syrup, vanilla and coconut oil. Press into lightly greased muffin tins. 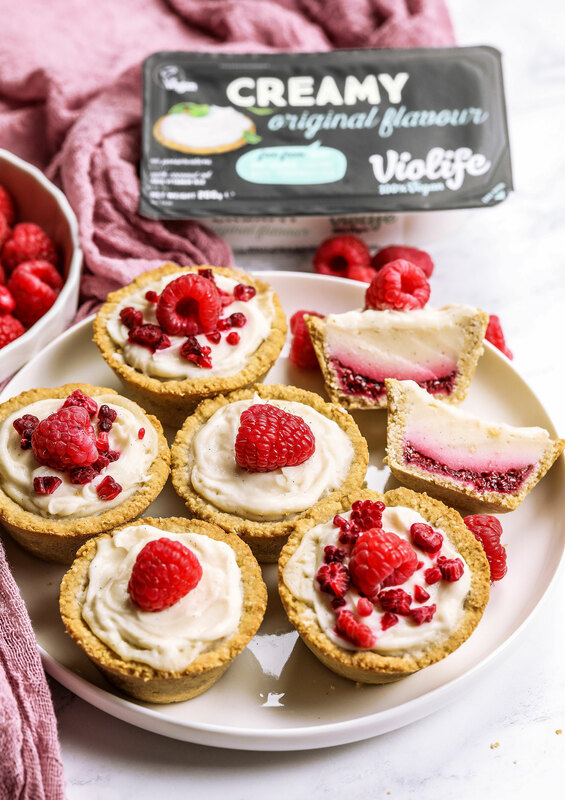 To make the filling – Mix Violife Creamy, maple, cornflour and lemon juice in a bowl. 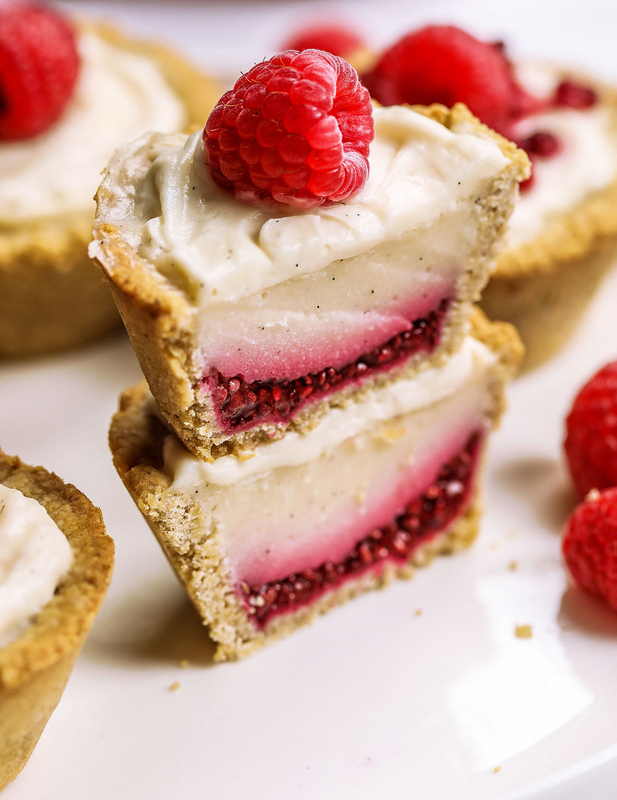 Spread a layer of the jam in each of the cups, then fill the rest with the cheesecake filling. Bake in a 180C/160C fan oven for 20-25 minutes. Thanks to Violife for sponsoring this post. Commissioned posts is how I’m able to continue working on the blog and creating recipes and recipe videos for you. As always, all opinions are my own. and I’m gluten-free and my mother in law is vegan so I’m always looking for new dishes and desserts to make. These are definitely going on the list! This is exactly what I’ve been looking for. Love cashew cream etc but it dosent impress non vegans. It is always refreshing to see dairy-free recipes that are also nut-free. I recently became allergic to nuts and I am always looking for healthy recipes without nuts. OMG, Where have you been all my life? I have been looking for Vegan Desserts because I enjoy sweets but sugar creates so much inflation in my body. I am so happy and grateful to have found your site and will start incorporating these recipes into my diet. Thank you so very much for sharing your talents.